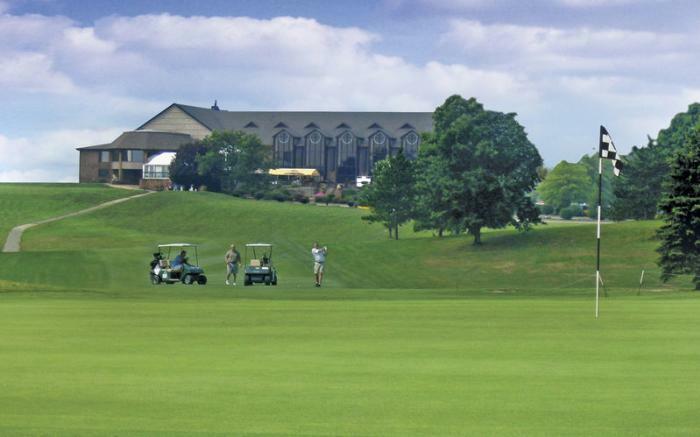 Two of Pennsylvania's most picturesque golf courses offer challenging play in the beautiful foothills of the Laurel Highlands. Great dining options are available at the on-site 37 Grille Restaurant or the Spike Bar. Looking for some fun and games? Check out the game room! Four elegant and versatile event spaces are ready to serve your special event. The Hampton Inn and Suites on property can turn any day trip into a weekend getaway.